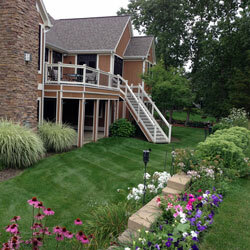 Need residential landscaping or landscape design from a trusted and reputable landscaping company in Grand Rapids? The Grand Rapids residential landscaping experts at Pro Cut Lawn Care & Landscape provide landscape design and installation for your home. Beautiful landscaping enhances your home, making it appealing to guests and family. Our residential landscape designers make sure that first impression, even before they get in the door, is a positive one. We deliver complex projects or low maintenance landscaping designs, all within your budget. We offer year-round residential maintenance to keep your home aesthetically pleasing throughout every season. There are several reasons to design or re-design your landscaping. You may be trying to list your home on the market and want to improve the curb appeal. Or you're looking for more privacy and a safe place for your children to play. Whatever your landscape design concerns or thoughts, our designers can turn them into reality. Why Choose Pro Cut Lawn Care & Landscape? Our residential landscape design team can beautifully enhance your home with a perfect landscaping scheme, designed to delight and inspire you through all the changing seasons. Their Grand Rapids residential landscape designers are ready to plan and construct a strong, yet practical outdoor statement for your home. We will strive to enhance the look of your home, making it appealing to your friends, family and guests. 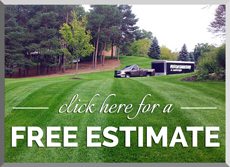 Contact the Grand Rapids residential landscaping experts at Pro Cut Lawn Care & Landscape today free estimate or call us directly at 616.421.4148.